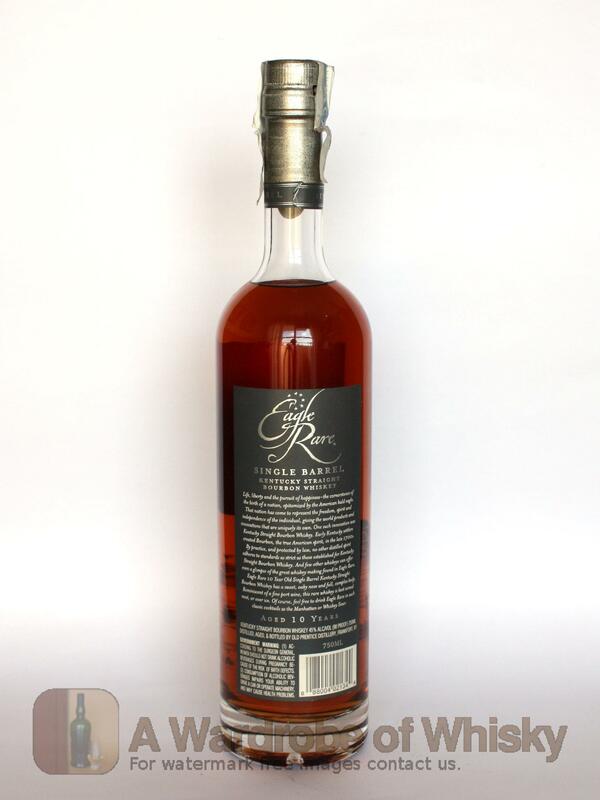 Buffalo Trace, who makes this 10 year old whisky, was named Distiller of the Year by Whiskey Magazine in 2005 and 2007 and by the Wine Enthusiast in 2006. Paul Pacult of the The Spirit Journal gave it four stars and said: "Easily one of the most tactile yet assertive and expressive bourbons I've tasted in the last two years; fasten your seatbelts." Nose (92): strong. corn, vanilla. Perfect bourbon nose!. You can't get anything cleaner. Taste (90): light, smooth, powerful. corn, honey, vanilla, floral, bananas. Finish (88): long. vanilla, floral. 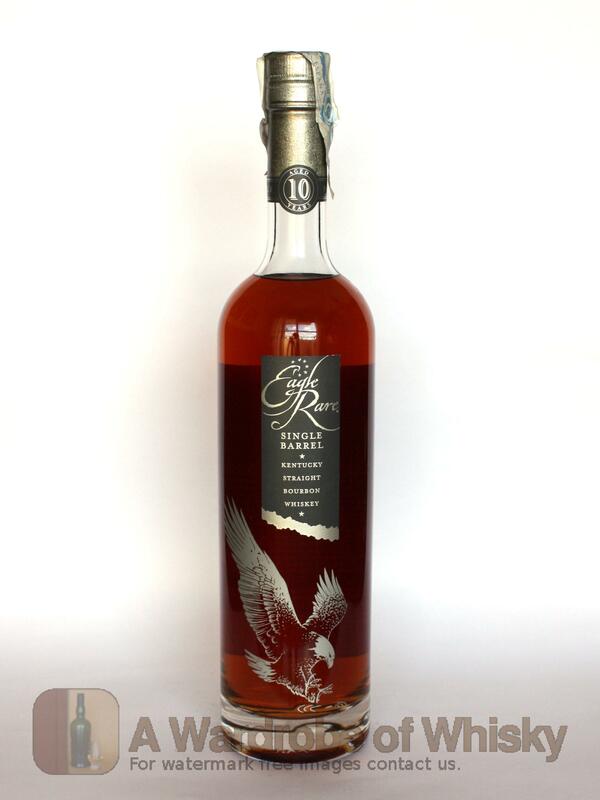 These bottles have been chosen over others because their nose, taste and finish are more similar to Eagle Rare Single Barrel than the rest. Go to Whisky-o-matic page to fine tuning other settings.